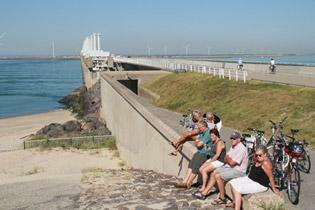 As soon as you drive down the access roads to Zeeland, that holiday feeling will come upon you. That salty air and the far horizons give you a feeling of peace, space and freedom. This is Zeeland, a lesser-known province on the south-west coast of the Netherlands, where it is still possible to be alone. Mainly made up of islands, for a long time it was somewhat cut off from the rest of the country and only in recent decades have dams and bridges opened up the region to visitors. We are talking about the dams and coastal defences of the Delta Works, constructed to keep the sea out of this region plagued by floods; a region in which most of the land is manmade, won from the water, and below sea level. A highlight of this tour is the Delta Works exhibition. For all those interested in history and water management it offers fascinating insights. 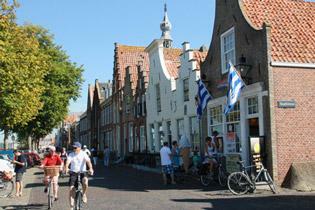 But your daily companions on this tour will be white beaches, windswept dunes, open polder countryside and pretty villages stilled in time. Flat terrain ensures a perfect cycling experience.